I remember lining the hallways at West Hempfield Elementary School when we had severe weather drills. The teachers would have us sit side by side against the inner concrete walls, quiet-sticks up, until the training exercise was complete. Fire drills took us outside. We knew which way to go based upon the type of drill. Sadly, nowadays students don’t just have drills for fires and natural disasters, but also to prepare for evil attacks on humanity by humanity. We teach children how they should respond in the event of a shooter being on school grounds so they know the places to go to find protection and safety. My heart doesn’t even know how to process the angst of having to have such drills. It’s hard to know what to do with feelings of frustration when it comes to the evil in this world. 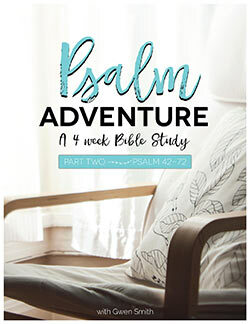 In Psalm 52, David’s mad about evil. Stirred by a righteous anger over the arrogant and harmful actions of a non-believer. As he sifts through his frustrations, David points out that the evil guy (Doeg) did not make God his stronghold (v7 NIV)… his refuge (v7 ESV). This stood out to me. One key fault David saw in the arrogant, evil man was that he didn’t turn to God, but relied on his own money and power. I want to make God my stronghold and refuge, but have a tendency to do things on my own sometimes. I don’t ever want to be found in the camp of the arrogant. Instead, I want to be a woman who trusts in the steadfast love of God, gives Him thanks in all circumstances, and hopes in His name like the psalmist. The Hebrew word used for refuge here is ma òwz, which means a place or means of safety, protection or refuge. 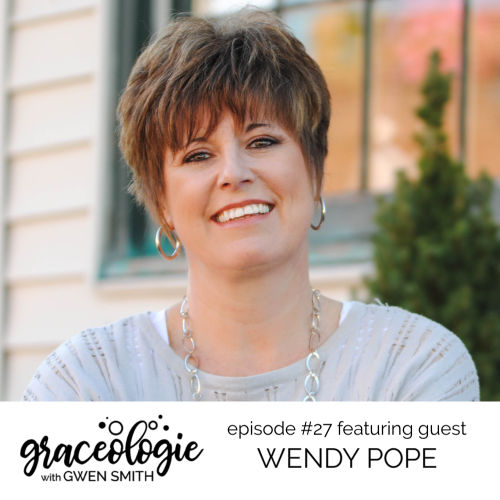 Is God’s presence the place I go when I’m angry about evil or frustrated with the actions of other people? If I’ve been hurt or offended, do I bend a knee in prayer or bend the ear of whoever’s closest in proximity? Do I trust God with the outcome and give Him thanks for the opportunities to lean on Him through hard times? I’m challenged to live differently than those who don’t know and trust in God. The best choice is to take my anger directly to Jesus when evil stirs me up. Everyday you and I face fire drills of frustration and we interact with people who don’t know or want to please Jesus. 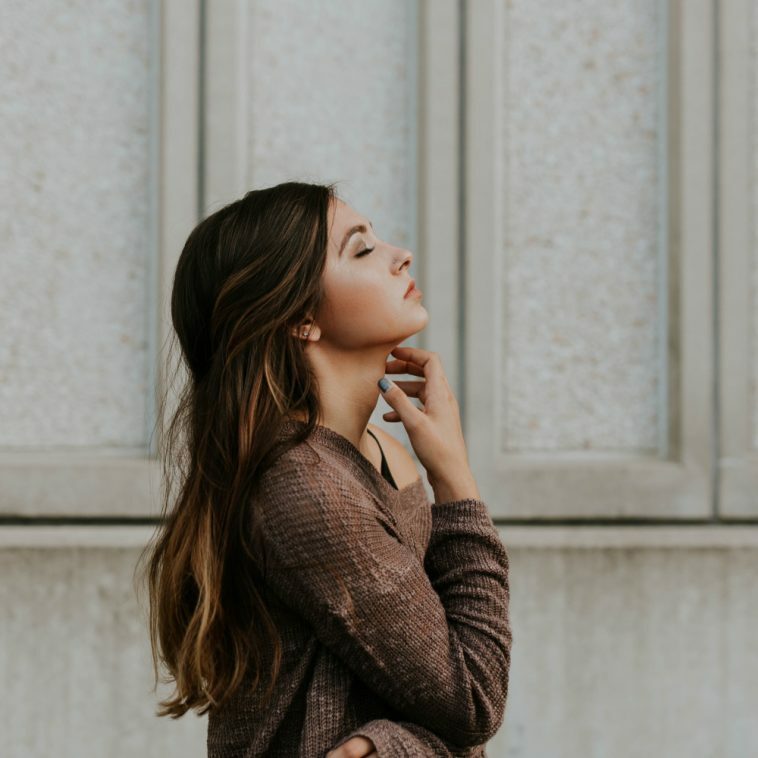 How will I respond to the sassy response from my teenager? Will the tone I use with my spouse or co-worker be honoring or sarcastic? Will I try to “fix things” or accomplish greatness on my own or in the strength of God. What will I do with the fears and discontent screaming in my heart after watching that cable news channel? I want to have a godly plan of action that honors the Lord and loves others well when I’m stirred up. While this will play out differently in every situation, I think a good starting point for all of us is to step into sacred chambers of holiness and turn to God as the stronghold and refuge we need. Injustice and evil are constant companions here on earth. Can’t wait for you to take care of all that! Until then, Lord, please teach me what it looks like to make You my stronghold and refuge. Draw me to Your presence and help me hash out my frustrations with You instead of with others. Stir my eyes to seek You constantly. 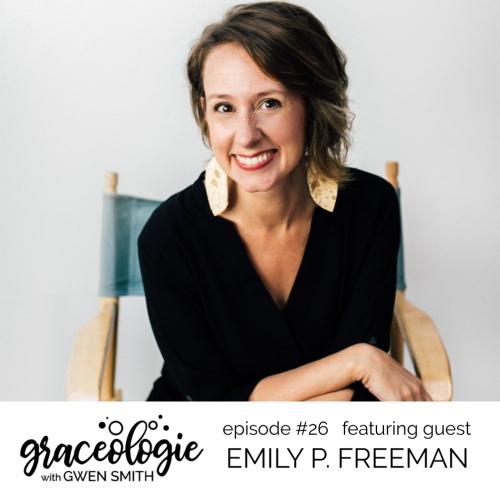 What source of frustrations is God nudging you to surrender to Him today? Who or what has you stirred up? What would trusting God with that/them look like? 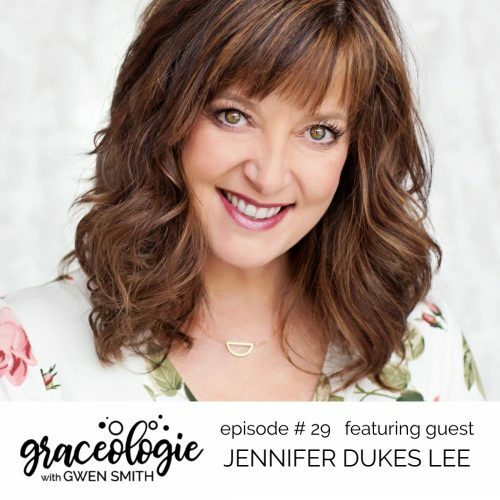 I encourage you to connect with God in prayer and then spend some time processing as you write in your journal about this. SPECIAL OFFER: If today’s message is where you are and you need more practical help, I have a devotional resource called Trusting God. 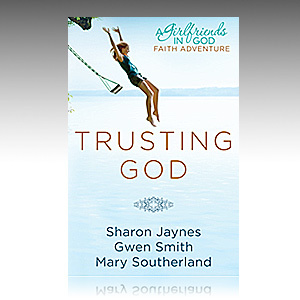 I’m offering a 20% OFF discount on the Trusting God book from my site when you use the coupon code: 20OFF. Click here to get yours now. 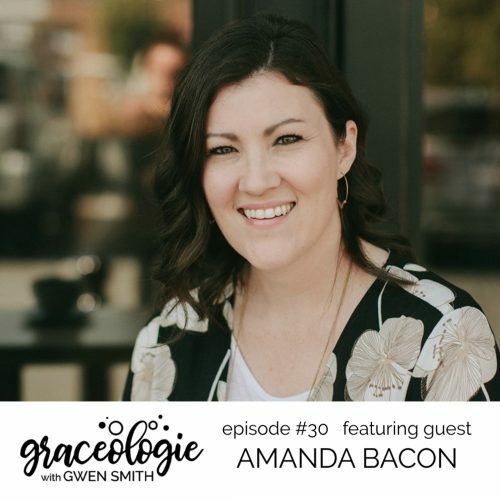 AMANDA BACON is my guest on the new episode of Graceologie. 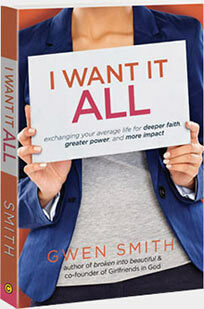 She’s a member of the Proverbs 31 Ministry team, is a wife, mom, blogger and the co-author of a new book: Shiny Things. 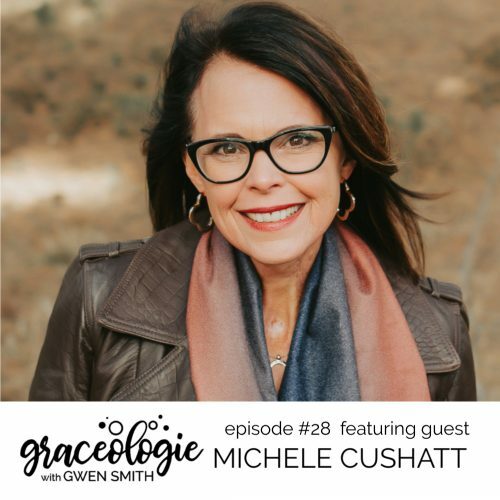 In this clutch conversation, Amanda and I discuss how you can live on purpose in a world of distractions. 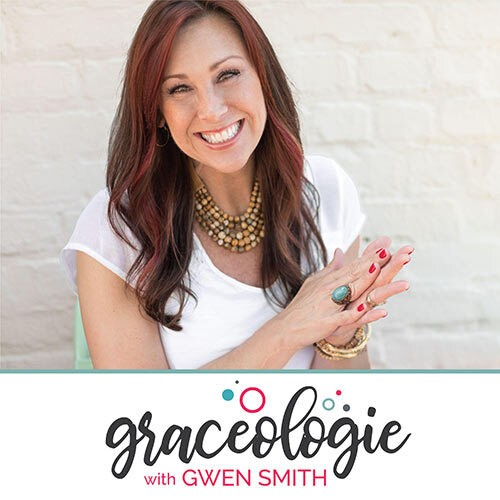 Listen to the GRACEOLOGIE with Gwen Smith Podcast during your commute to and from work… or while you run errands, cook dinner, fold laundry, eat chips and guacamole… all the things! As we wake up to hear that there is a protest in Charlotte today, this is an on time word. It’s so easy to get angry in times like this. Thank you for the reminder, that as a Christian we can give this frustration to our Father.